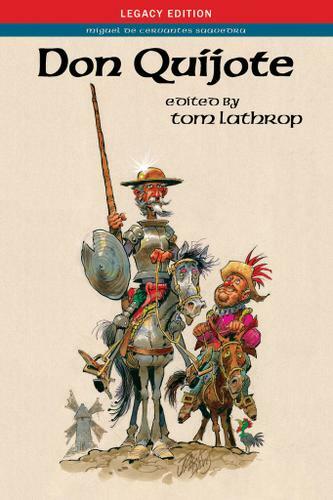 Until now, our students have had to use editions of Don Quijote published in Spain for Spaniards. Vocabulary and syntactic structures that are difficult (or impossible) for our students are usually not annotated in those editions. Cultural information which educated Spanish speakers already know, but our students simply do not, is equally not annotated. Our students have thus been deprived of much of what they need to know in order to understand the text. To help solve the vocabulary problem, Lathrop has included 10,450 vocabulary glosses in the margin opposite the line where the Spanish word to be defined appears. If too many words need to be put in the margin, phrases are translated in footnotes. In all, there are 3,742 footnotes. These also deal with cultural items, historical, geographical, biblical, mythological, textual references, and all kinds of other information. Footnotes will not offer interpretationsthats for instructors and their students to figure out.